Here at my house, I love to pamper my feet. I am running around all day, and I love products that help to soothe them. Although the name may seem peculiar, I have been enjoying the refreshing feeling "Toe Juice" brings to my feet. 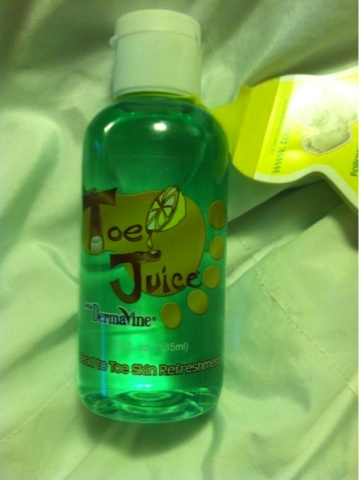 Toe Juice is a product to apply to any part of your skin that may need refreshing. It has a cooling agent to it, and leaves the area feeling cool. I have placed it on skin that is itchy as well, and it helped to soothe the itch. The consistency it very liquidy, and is not like a lotion or a gel. It has a medicinal smell to it, much like mouthwash, which is not bad, just not something that I would ordinarily place on my skin. Parents should also be aware that the produce is primarily alcohol-based (similar to rubbing alcohol). Be careful with using it on little ones skin! My husband has used it on his excema stated that it really did provide cooling relief! 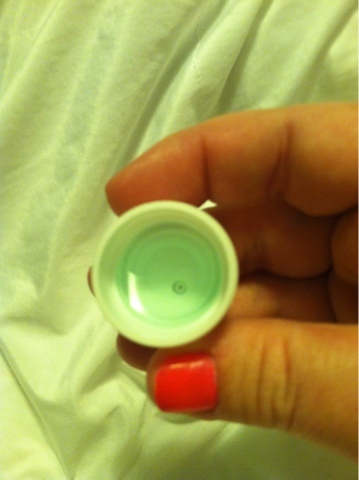 You can purchase your own Toe Juice on their website for JUST the cost of shipping!!! Be on the lookout for a review . . . coming soon! Several producers are responsible for creating outstanding timepieces, which includes timepieces and also omega replica uk, and you should make an effort to pick a observe coming from an existing business to make sure the observe continues to be produced while using the maximum levels of design. They will generate timepieces that will make each day use amazing. In the event you pick a excellent rolex replica sale then a top quality needs to be quite high. Yet it's also advisable to enquire about the average person top features of the particular observe to choose whether it's any high-quality merchandise. Verify the particular breitling replica metallic or perhaps buckskin wrist strap and also be sure that the particular goblet covering the confront will be robust. These kinds of aspects can be responsible for making sure the particular observe continues for quite some time in order to retain experiencing that to get a extended tag heuer replica uk ahead. You need to ensure how big is the particular observe is appropriate. A huge observe look ridiculous over a tiny wrist, plus a tiny observe may be tough you just read over a huge wrist. In the event you use any hublot replica sale previously next maybe you should have several thought as to what dimensions regarding observe you want subsequent.